FInally a good long ride. The weather was going to be good so this was my day to get in my 70 mile ride-your-age ride. I had a couple of longer rides in March but not since turning 70. I got out early but was not awake yet and it was a bit cold so decided to stop for coffee before leaving town. That helped a little. Still was not feeling comfortable and decided to lower my saddle a couple of millimeters. What a difference. Soon my Achilles' tendon even stopped hurting. I headed straight out Tangent drive to Lebanon, then straight across Airport to Russell which becomes River Drive to Waterloo. 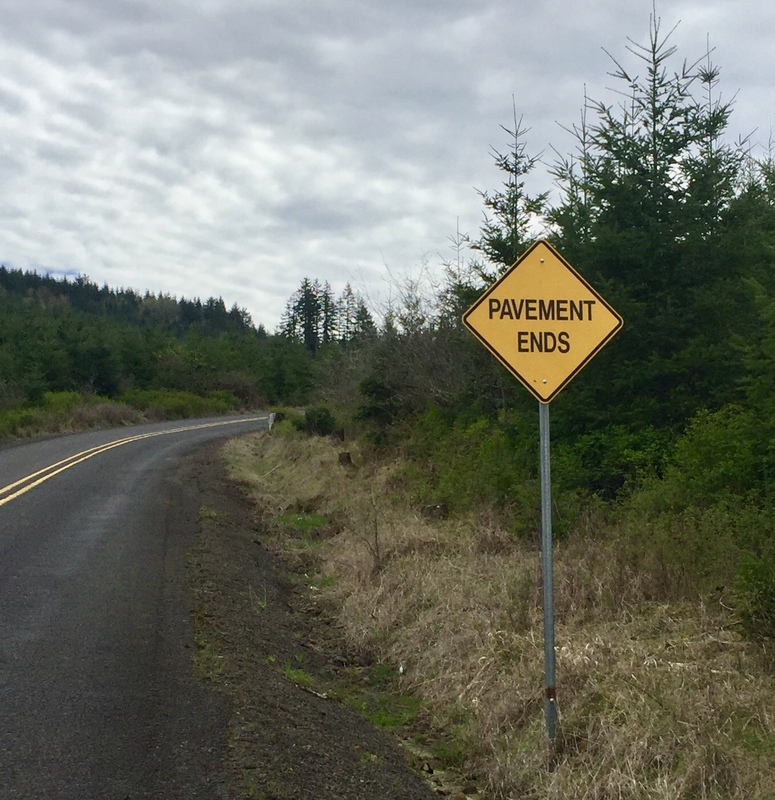 It's one of my favorite roads, along the Santiam River. Went to the Waterloo store first to get some ice tea, then back down to the river to drink it and have a snack. Decided to consult Google for the next segment of the ride. It said I could take Scott Mountain Road to Crawfordsville. Yeah the "mountain " part raised some concerns but I was feeling pretty good and hey, how hard could it be. 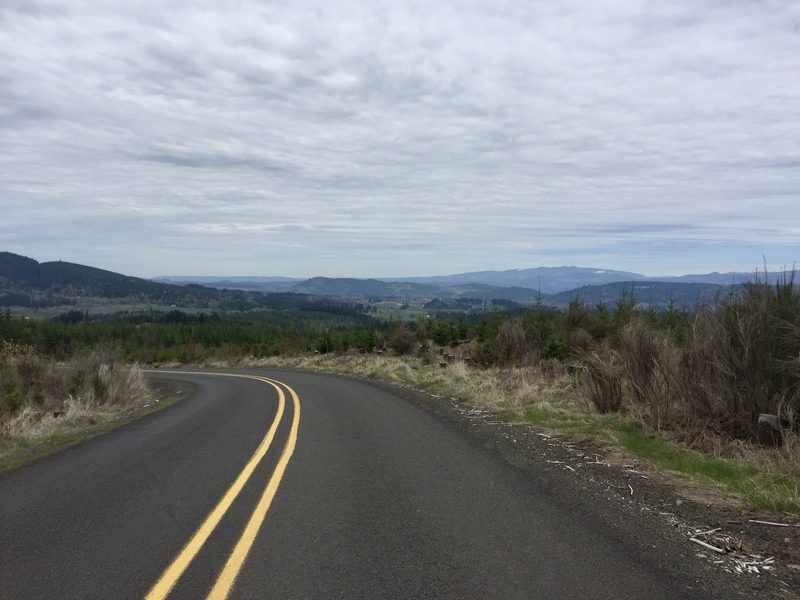 First Old Santiam and Fairview and then across 20 to Mountain Home (which appears to be a route to Brownsville to explore another day ). 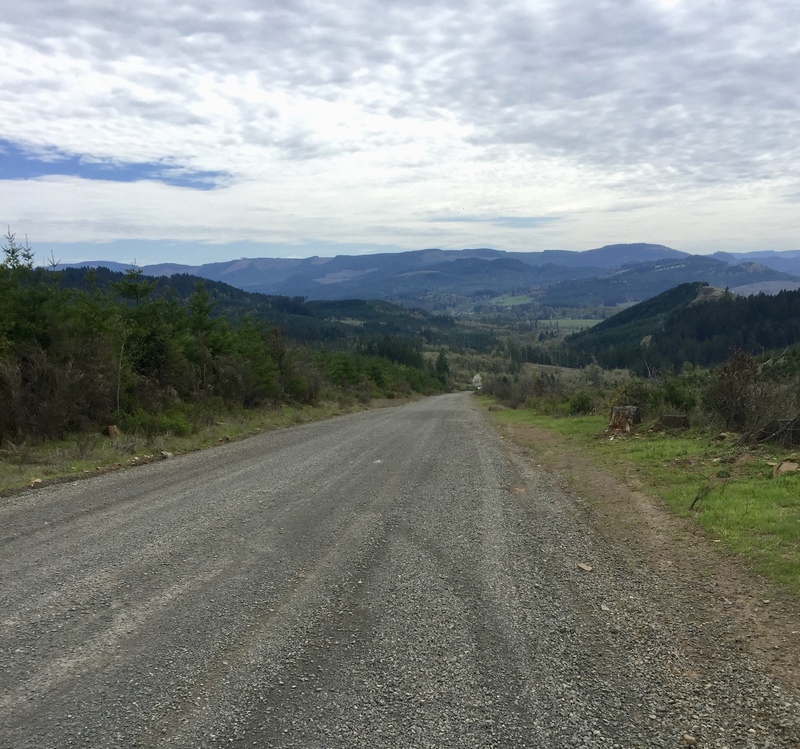 Then onto Scott Mountain Road which started with a short steep grunt but then settled into a series of short not too steep climbs followed by easier sections. It went on this way for a few miles and then the uphills got longer and steeper with less rest in between. Then came a false summit with a great view back north, followed by one more grunt until I could see the "Pavement ends" sign and the top of the ridge. 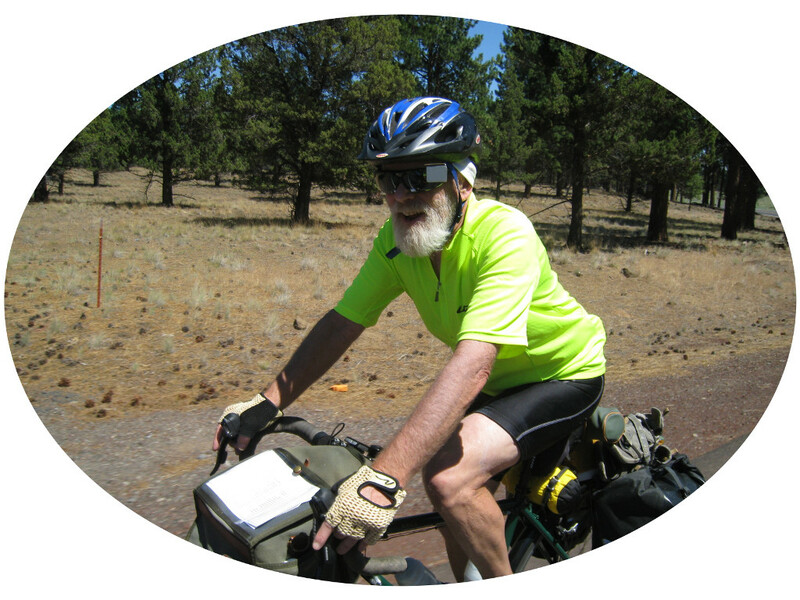 I had climbed out of the Santiam drainage and was about to descent to the Calipooia. Normally I like gravel but this downhill was really steep. The gravel wasn't deep but a thin loose layer across the whole road with no worn tracks. I kept my speed down and was doing fine until it got even steeper. If I held my brakes I just skidded forward. So I stopped and walked a bit and soon it got better and I got back on and had some great downhill to Crawfordsville Road. This looked familiar and I soon realized I was on the Strawberry Century route. 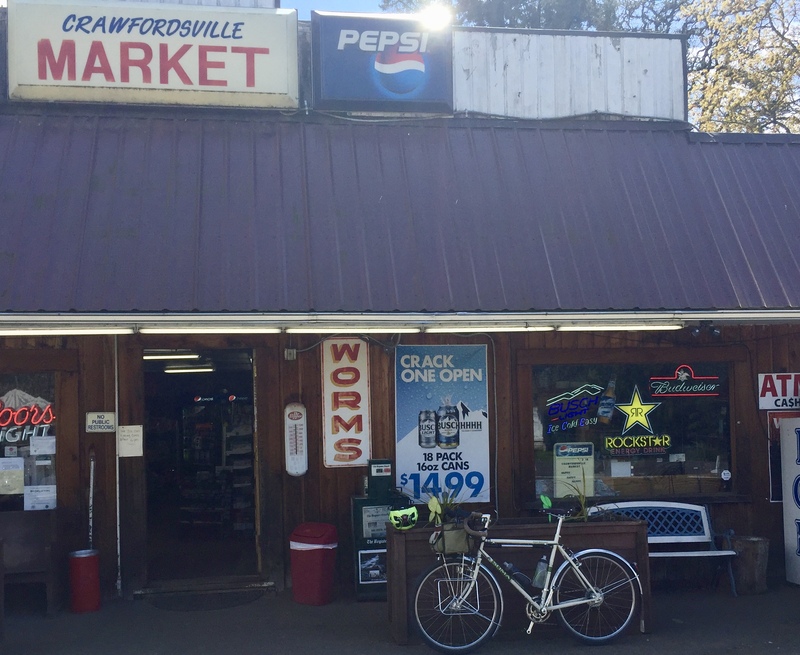 When I hit the highway I doubled back to the Crawfordsville store for a snack before rejoining the Strawberry route to Brownsville. This takes Northern Road and as it looped back on the approach to Brownsville I saw Mountain Home Road and a cyclist behind me turned up that way. So a ride for another day. 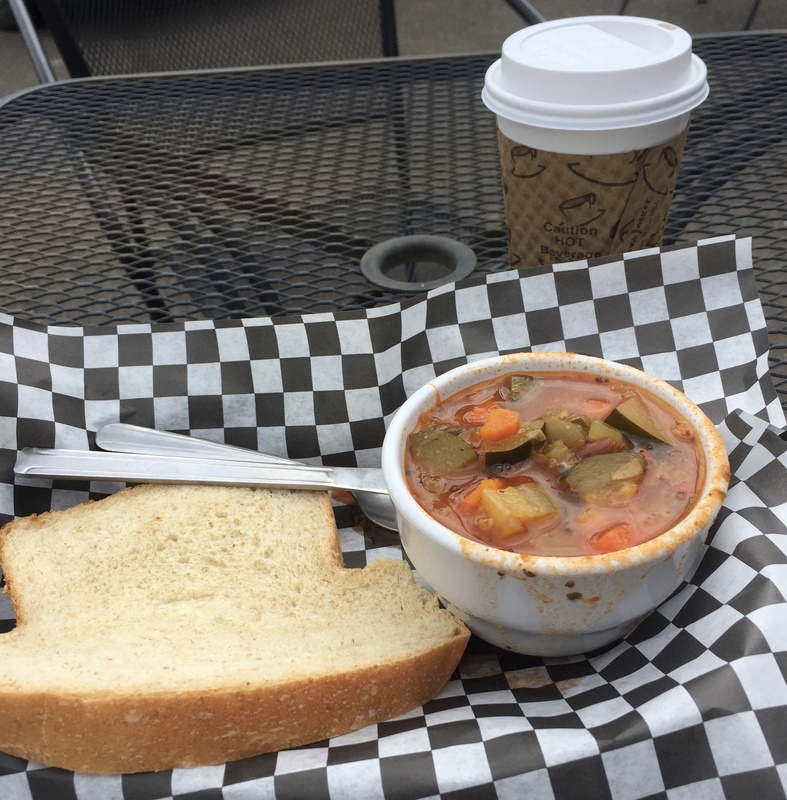 I got to Brownsville with a half hour to spare before Randy's Cafe closed so I got some soup, bread, and coffee. It had been mostly cloudy all day but now the sun was coming out and it was nice and warm as I sat outside to eat. I went home via the normal route we usually take to Brownsville. Had some tailwind and kept a good pace. I started setting my timer to tell me to drink every 10 minutes. This also resulted in a lot of pee stops. One of these was at Thompson Mills. I kept a good pace all the way home and was happy to finish feeling better than when I started. Hey, Google didn't tell me about this! Good thing I like gravel. Whoa, kind of steep. I walked part of it. Made it to Crawfordsville and had a nice break. Made it to Brownsville in time for a late lunch at Randy's.